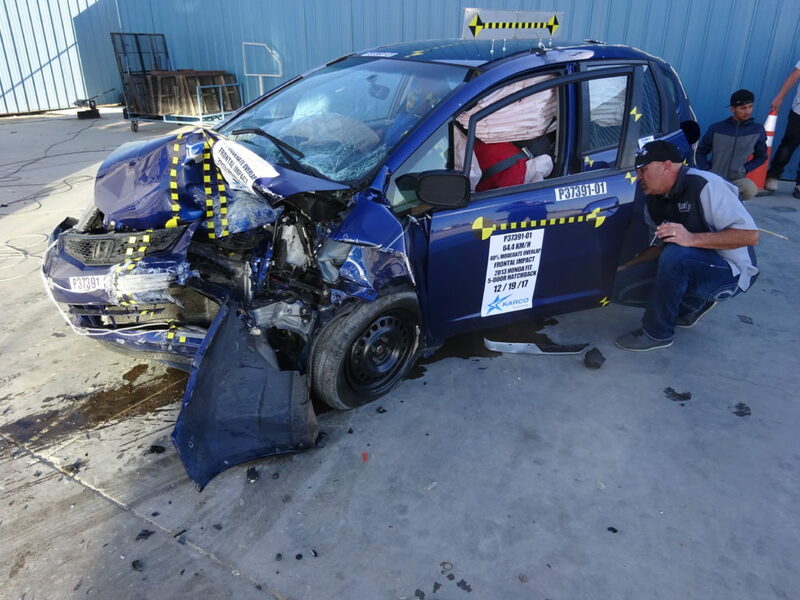 The Alliance of Automotive Service Providers of New Jersey announced Wednesday that not only will attorney Todd Tracy speak at the 2018 NORTHEAST, he’ll be bringing the three Honda Fits famously crash-tested last year. AASP-NJ said it was the first time the vehicles were publicly available and thanked sponsor Reliable Automotive Equipment for making it possible. The 2009, 2010 and 2013 Fits were subjected to an IIHS 40 mph moderate-overlap crash test by NHTSA-approved crash testing firm Karco Engineering. 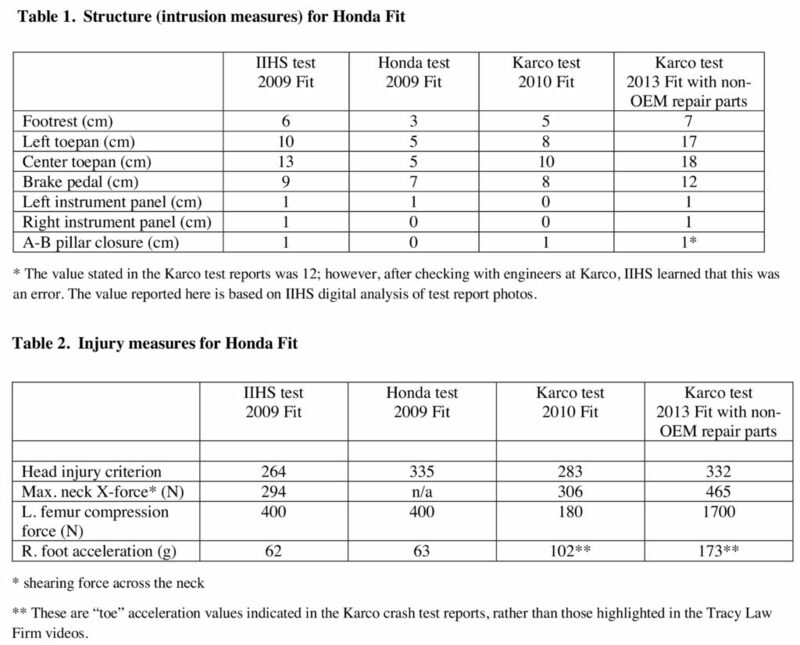 The 2009-13 Fit design generation is effectively identical from a crash-testing standpoint, according to Tracy and the Insurance Institute for Highway Safety. Burl’s Collision Center, which is owned by Auto Body Association of Texas President Burl Richards, introduced variables into two of the Fits prior to the testing. Download all of Tracy’s results here. The red 2009 Honda Fit you’ll see at NORTHEAST received Honda-unapproved repairs like those done on a 2010 Honda Fit owned by Tracy’s clients Matthew and Marcia Seebachan. John Eagle Collision Center had adhesive-bonded a roof on the couple’s Fit (instead of welding it as Honda demands) and installed an aftermarket windshield in 2012 during a hail repair for the car’s prior owner. The Seebachans bought the car unaware of the work done on it. After suffering horrific injuries in a collision, they sued John Eagle Collision for negligence, with Tracy successfully arguing that the shop’s failure to follow Honda OEM procedures led to the severity of the crash. An expert argued that their Fit, which aced the IIHS’ moderate-overlap crash test, should have held up better in what he called a similar crash into a 2010 Toyota Tundra in 2013. The truck had hydroplaned into the Seebachans’ path on a 75 mph road, leading to the Fit striking the right front quarter of the Tundra. A jury awarded them $31.5 million; the couple later settled for an undisclosed amount. Richards said his shop attempted to keep its work on the experimental Fit as close to John Eagle Collision’s as possible. “We had the other car there to go off of,” he said. The blue 2013 Fit coming to the show received a variety of aftermarket parts, some certified, some not. They included Certified Automotive Parts Association-approved fenders and a CAPA-certified hood, a non-CAPA aftermarket radiator support, an NSF-certified bumper reinforcement bar, left and right hood hinges, wheel and windshield. “The results from the tests not only prove the error in John Eagle’s ways, but also show the potential negative impact of aftermarket parts on vehicle occupants,” AASP-NJ wrote in a news release. 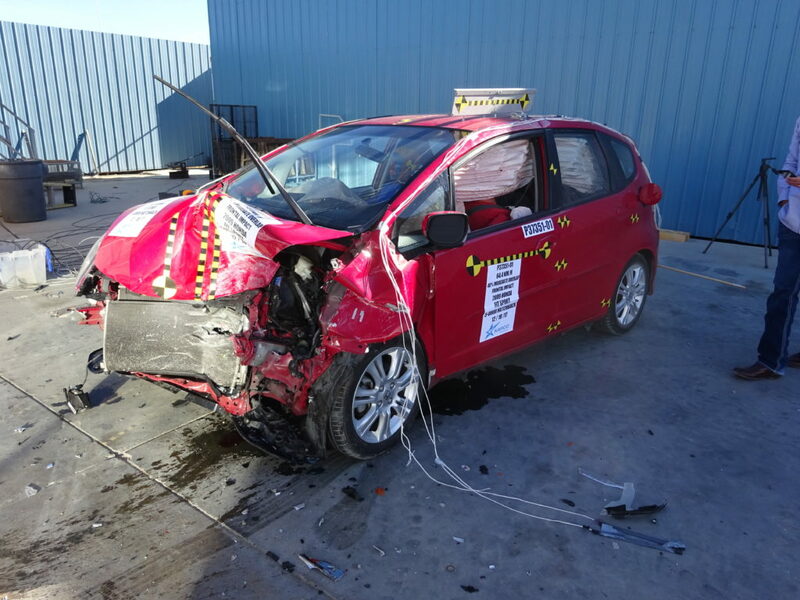 Finally, an unaltered black 2010 Honda Fit crashed as a control vehicle will also be present at NORTHEAST. Tracy in January declared victory, describing the differences between the two experimental Fits and the control Fit to have proved his points. “The tests scientifically prove that a non OEM approved repair and the use of aftermarket parts affect restraint system performance, airbag performance, injury production, occupant kinematics, transfer and distribution of energy,” his law firm wrote in a January email. 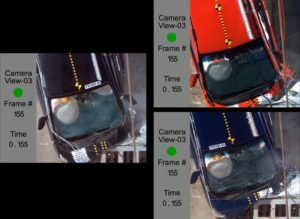 The NORTHEAST appearance of the three cars would have been timely anyway, but it took on even greater significance with the IIHS’ February public criticism of Tracy’s results. 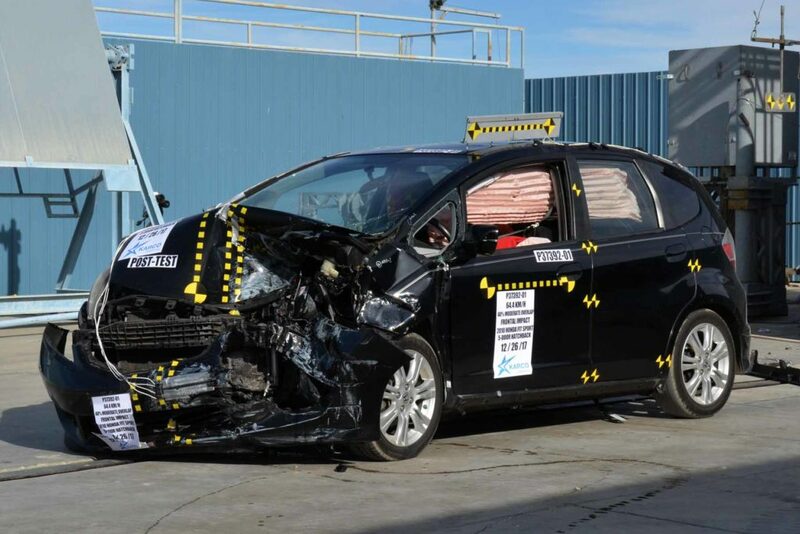 The testing organization wrote that while the presence of the aftermarket parts might have increased some risk to the 2013 Fit, the car’s crash-test results still qualified it for the same IIHS’ “Good” rating as an unmodified 2009-13 Honda Fit. The Fits will be on display in the Pavilion Level for the entire show, which runs March 16-18 at the Meadowlands Exposition Center in Secaucus, N.J.
“AASP/NJ strongly advises all attendees to get to the show well in advance to see the cars, as the show floor closes for the day at 5pm,” the trade group wrote. Thursday is the final day for attendees to pre-register for the talk, which is part of the Washington Metropolitan Auto Body Association’s inaugural Collision P.R.E.P. (“Professional Repairer Education Program”) series. Those pre-registering Thursday can receive a discounted rate for the entire three-day Collision P.R.E.P. educational series and Tracy’s class itself. Starting Friday, series passes rise from $295 to $325 and per-class tickets rise by $10 to $160 (OEM Repair Panel) and $75 (everything else). Pre-registration for NORTHEAST is also open, and taking advantage will save an attendee $10 over the full show’s onsite ticket price.